I'm wholeheartedly in your shoes. My student loans are through the roof. All this time I had to sell Allie (by best friend)'s organs but now that you and I are getting to know each other maybe you'll let me enjoy a quiet life with you while dating and I can borrow one of your organs. Not like a kidney or liver but one of the ones that grows back. That's how Allie's been doing it and she's paid off her loans through plasma and the organs. I can show you how to do it it is easy. I'm reading Ken Follett books and working my way through all of them. What do you like to read? And then you'd be found in a bathtub full of ice with some crucial organ missing. one: the only organs that grow back are the liver and the skin. two: her friend is absolutely dead. three: I wonder what she thinks about Fava beans. You left out placenta. That one grows back when you get pregnant again. Also, agreed, her friend is totally dead. One:Perhaps she confused organ with organs. Two:Her friend is imaginary,or quite possibly a potato. Three:I bet she makes a mean Fave bean pie to die for,kidney bean pie if it's a spur of the moment thingie. Could have been one and the same. 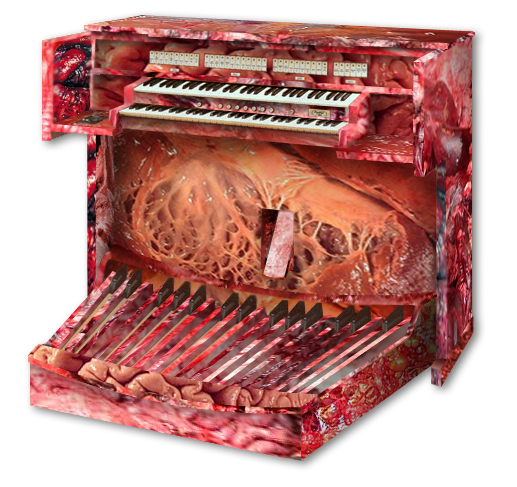 Borrow an organ? Would a piano or accordion do in a pinch?